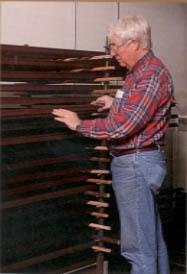 Bob Victor's - Native American Hardwood Mouldings. After 36 years of serving the framing community Bob Victor's has closed due to the death of Bob. We have cherished the friends we have made and appreciate your support. © Copyright 1999-2019 Bob Victors | Web site design & hosting by: Solution Technologies, Inc.